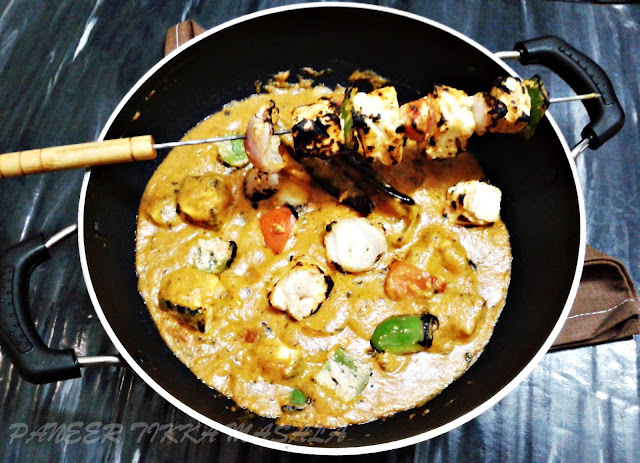 Add paneer tikka pieces along with the veges and serve hot with chapati, parantha or naan. Wash and soak the moong dal for 6 to 7 hours. Soak saffron in 1/4th cup of warm milk. Keep it aside. In a heavy bottom pan or kadhai, add ghee and moong dal paste, mix. Cook on a low heat till the dal turns light golden brown. Stir constantly. Once the dal turns golden brown, add milk and mix well. Cook on low heat till 3/4th of the milk quantity dries up. Keep stirring intermittently. Add cardamom powder, sugar, saffron milk, chopped cashew and almonds. Combine well. Cook on a low flame, stirring continuously throughout till the halwa takes a beautiful dark brown color and releases all the ghee flowing in the pan. Dish out in a serving bowl, garnish with chopped almonds, pistachios, saffron and silver worq. Boil potatoes in a pressure cooker till they become soft. Peel the potatoes and then chop them in desired shape and size. Heat ghee in a kadahi and crackle cumin seeds then add grated ginger and chopped green chilies and stir for a while. Add salt, all the spices and the chopped potatoes and mix well. Cook on low flame for 5-7 minutes till salt is absorbed in the potatoes and all the spices cat the potatoes well. 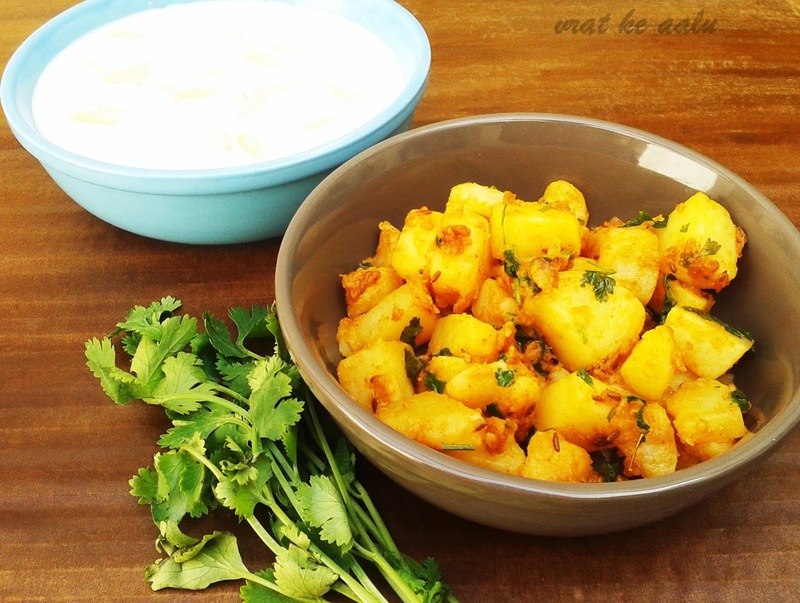 Garnish with chopped coriander leaves and serve with plain curd or vrat ke chawal ki kheer or sabudana kheer or kuttu ke aate ka cheela or kuttu ke aate ki puri or kuttu ke aate ki roti. 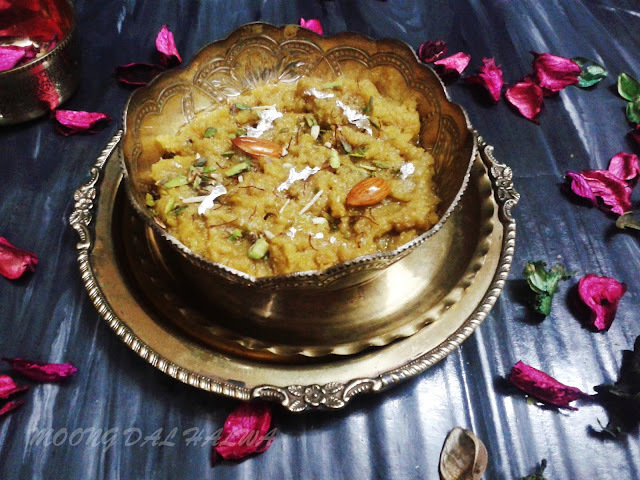 You can simply enjoy this with poori or parantha even if you are not fasting.